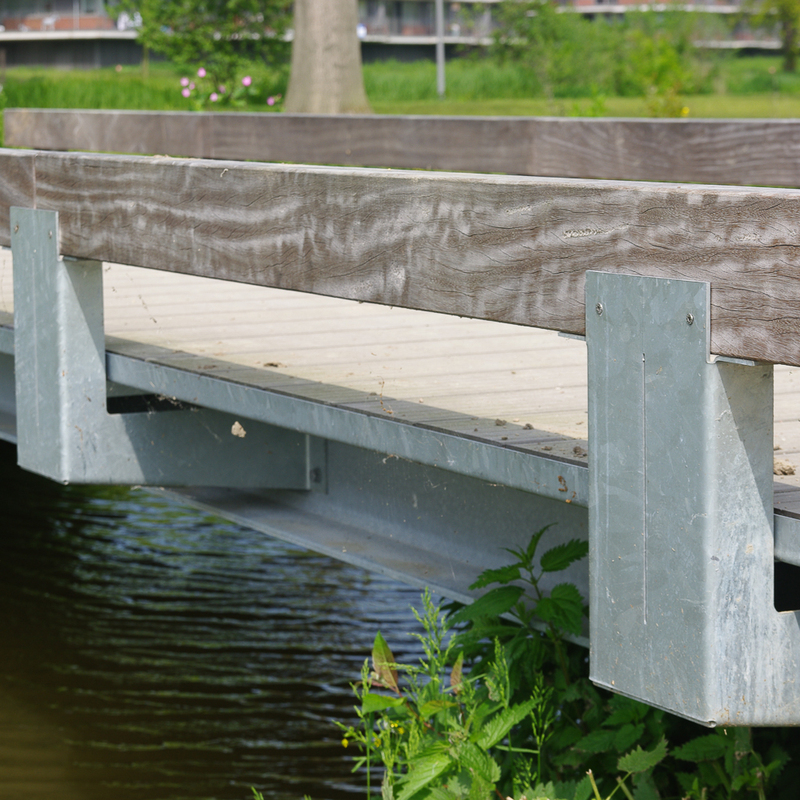 Country Bridges Low have a functional design and blend easily in with their surroundings. Their understated design disguises the quality detailing. The look of the low balusters was based on Streetlife’s Rough&Ready product range. The sturdy baluster beam is available both in FSC® hardwood and All Black versions. 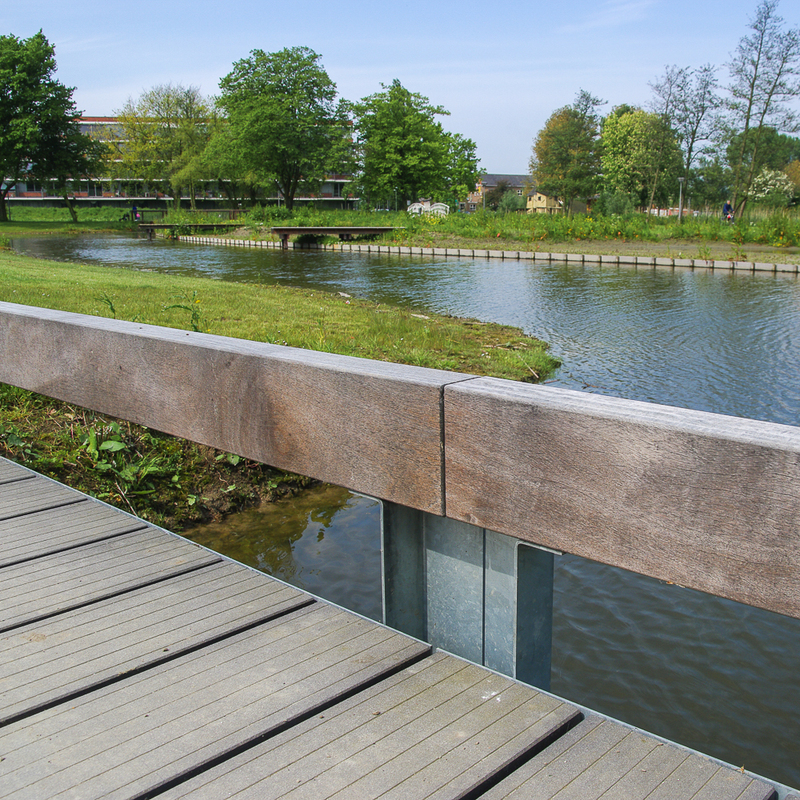 With their low fencing, these bridges harmonize perfectly with open landscapes and park environments. 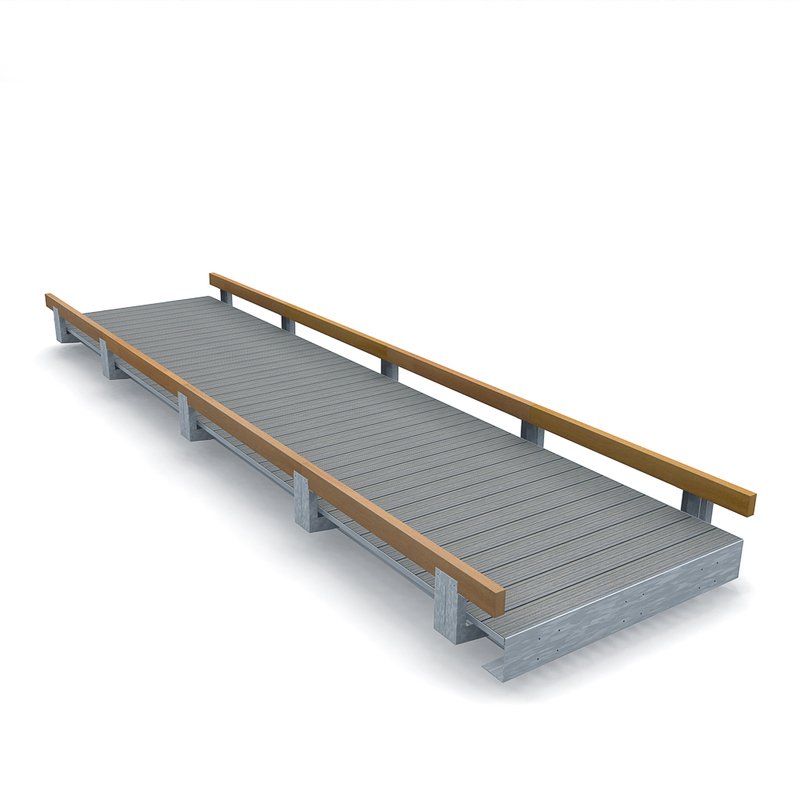 This bridge is perfect for rural environments with bridge spans of up to 12 metres - 38 ft. The Country Bridges Low are equipped with a low fence, 30 cm high. The Rough & Ready Baluster system comes in a rigid beam of FSC® hardwood (7x15 cm - 3”x6”) or in a black synthetic material made of recycled agricultural plastic sheeting. These reinforced All Black beams are extra strong and rigid. 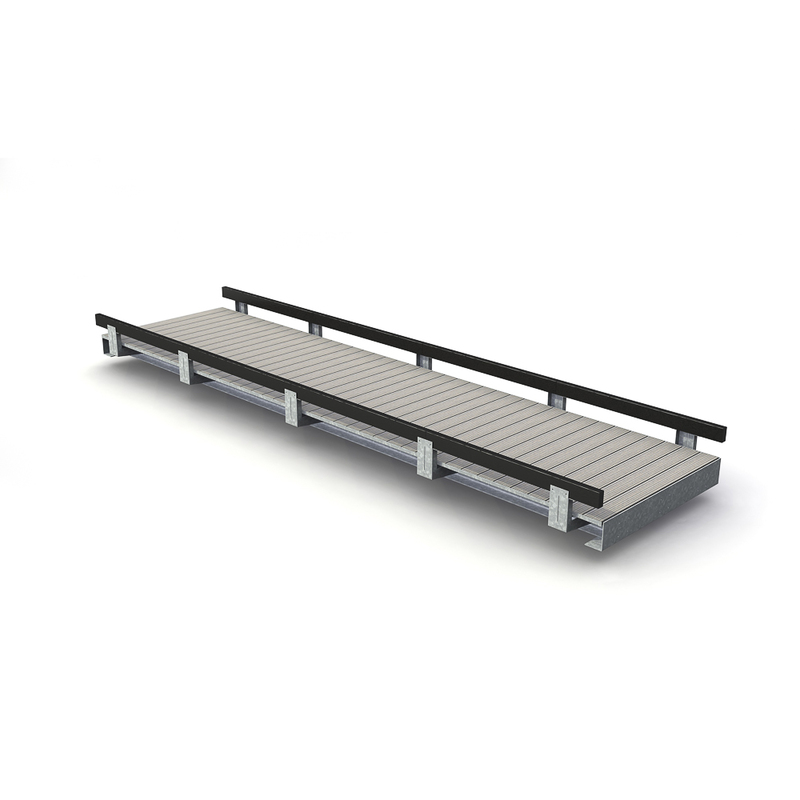 In addition, Streetlife offers a variety of decking materials including Streetdeck®, Truedeck® and Solideck® made of FSC® hardwood. The fence is beautifully detailed with laser-cut supports.